Barred owlets and a bald eagle are leading the pack in this year’s BC SPCA Wildlife in Focus Photography Contest, but if you have a better shot, there’s still time to enter. “The leaderboard is changing every day, and the photos being sent in are simply stunning,” said BC SPCA chief scientific officer Dr. Sara Dubois in a release. If you’re not so skilled on the camera, you can vote for your favourite shot instead, for the cost of a $1 donation; the most popular photo will win the People’s Choice award. And for the first time this year, the top 52 wildlife photos with the most votes will be featured on and awarded an exclusive deck of Wildlife In Focus playing cards. The deck of cards will also be available for purchase by the general public, so if you fancy a deck, it’s worth having your say now on who gets featured. 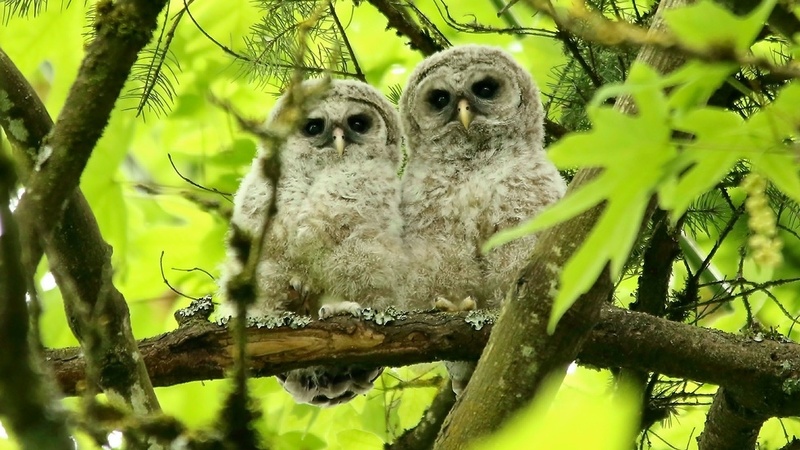 Currently in the lead is “Who’s Who,” a photo of a two barred owlets from Aldergrove photographer Tobi Smith. 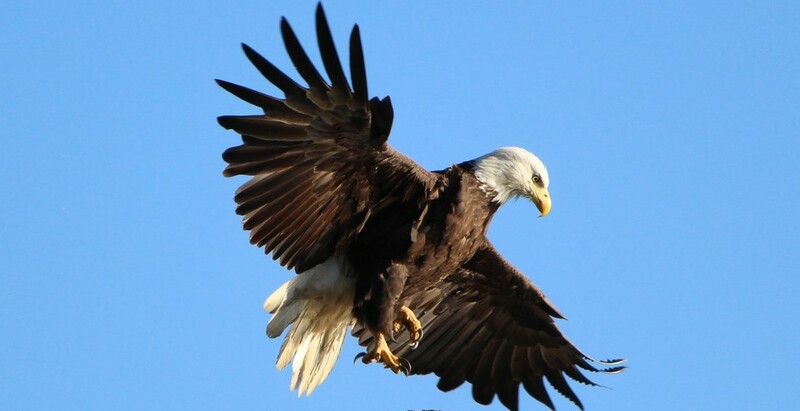 Following in second place is “And we have liftoff,” a photo of a bald eagle in flight from Burnaby’s Carolyn Matt, featured at the top of this story. 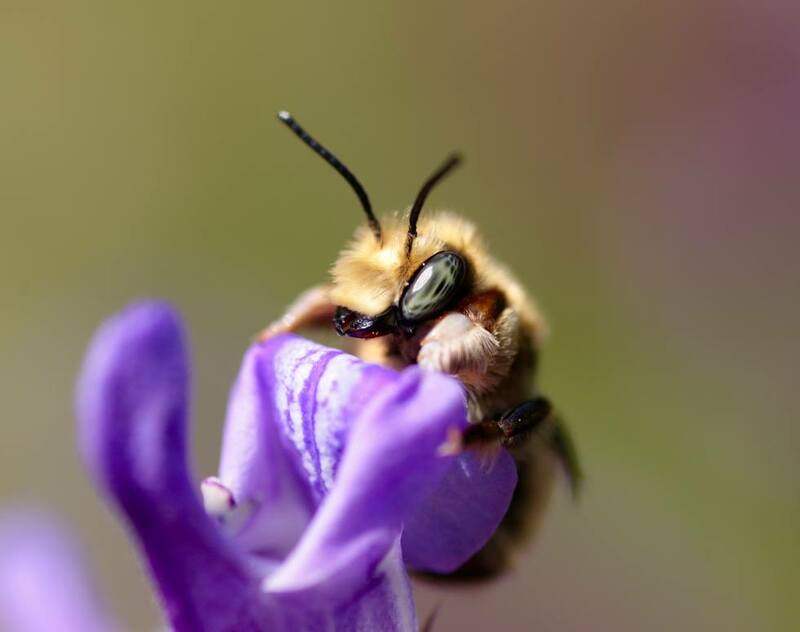 And coming up third is a photo of a wool carder bee enjoying some sage, taken by Shawnigan Lake photographer Tyson Harrison. Aside from the People’s Choice award, photos will also be judged in two categories – Wild Settings and Backyard Habitats. Photos will be judged on originality, technical excellence, composition, overall impact and artistic merit. First prize in both categories will be publication in a future issue of AnimalSense magazine, and a gift item from sponsors. All other winners will receive prizes such as gift certificates or gift items from sponsors. All funds raised will go to the SPCA’s Wild Animal Rehabilitation Centre (Wild ARC), where almost 3,000 orphaned and injured animals are cared for annually. The contest runs until September 15. Entry is $5 per photograph. Winners will be notified by late October. There is no limit to how many times you can vote for an entry. Each vote requires a $1 donation. Go to gogophotocontest.com/bc-spca-wildlife-in-focus/search to see all entries and cast your vote for each category. Photographers must be at least 14 years old and live in BC. All photographs must be taken in BC, but do not need to be taken this year. Photos can be in colour or black and white, but must be in digital format. Photographers can submit as many entries as they wish in both categories. Urban wild animals include both native and non-native free-living species of birds, mammals, amphibians, reptiles and invertebrates resident or transient to BC. Photos of exotic pets, feral or domestic animals are not permitted, nor are photos of animals either temporarily or permanently confined, or photos containing people. Any free-living wildlife featured in the photo must not be coerced with food (with the exception of birds at feeders only) or stressed unnaturally to photograph them. The use of drones or other moving, unmanned vehicles is not acceptable. Photos should reflect the subject matter and the scene as it appeared. Photos that have been digitally altered beyond standard optimization will be disqualified. Sign Up to our Newsletter for exclusive content, contests, and perks. Jenni is a former Senior Staff Writer at Daily Hive. Happy Vancouverite. Traveller, snowboarder, foodie, film fan, feminist, geek, cheesemaker, curler. © 2019 Buzz Connected Media Inc.